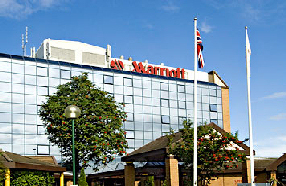 Set by the A1M next to the MetroCentre, Europe’s largest leisure and retail complex, the Newcastle Marriott Hotel MetroCentre offers the location, exceptional service and amenities you’d expect from a 4-star hotel in Newcastle / Gateshead. If you’re planning a business or social event, you’ll find a 524-square-metre, technologically enhanced conference and meeting facility, backed by a professional staff who will anticipate your needs and quickly respond to your requests. 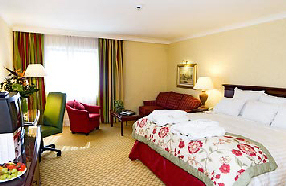 The Newcastle Marriott Hotel MetroCentre surrounds you in creature comforts, too, with spacious, well-appointed guest rooms offering luxurious bedding with soft, cotton-rich linens, plus high-speed Internet to keep you connected.